TMT Ep.38 The “FREE” viewing trip myth – EXPOSED !!! 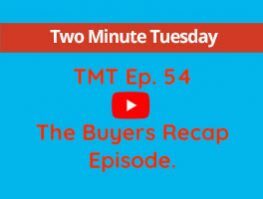 In this weeks episode of Two Minute Tuesday Steven investigates the true cost of the “Free” property inspection trip and who really pays for them…. You may or may not be surprised to hear it is not the Estate Agent….. So are these trips as “free” as they sound and will they actually limit your property viewing experience and consequently your chances of finding your dream home in the sun? Apologies for the video quality in this video…… back to normal next week. If you have any questions about buying or selling property in the area please do not hesitate to contact us directly on info@HondonValleyHomes.com or go straight to our website at www.HondonValleyHomes.com which is full of useful buying and selling guides, free downloadable eBooks and articles and blogs.